The Kindergartners and 1st Graders walked to nearby Pierce Park last Friday where they observed the pond teeming with life. 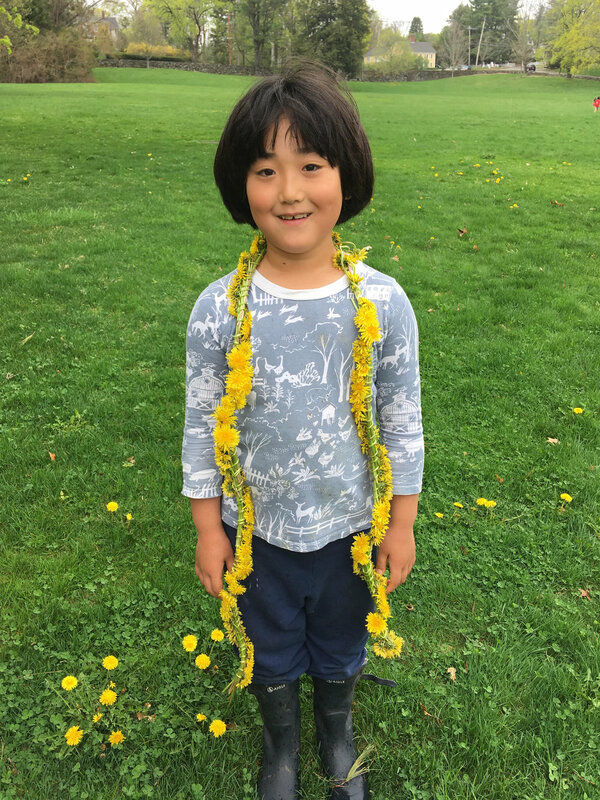 The field is covered in dandelions now, and this first grade boy taught the children how to make dandelion chains. The children came back to school beautifully adorned!